We LOVE when customers review books for us! 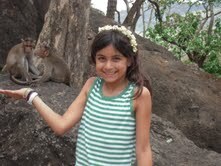 Today I'd like to introduce you to our special guest reviewer, Sonia Karkare, age 9. 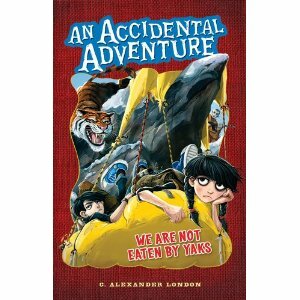 The new book by C. Alexander London is called An Accidental Adventure: We are not eaten by yaks. This is a story about a set of very lazy twins named Oliver and Celia Navel. Oliver and Celia like to watch television all day, but too bad for them, their parents are Explorers. They all live at Number 7, East 74th Street, which is an Explorers’ Club. They live on the 4 ½ floor at the Explorers’ Club. exciting to read the next book by C. Alexander London. myself wondering what would happen next and I could not put the book down. watching television kind of like an adventure in my own bed! 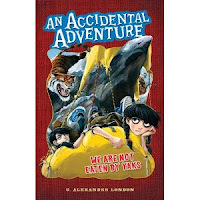 If you're interested in hearing more about An Accidental Adventure, come on by the shop and get a copy for yourself!